"Of all the influences resulting in the genius of Bob Dylan’s music, far too little attention has been paid to Dylan’s Jewish heritage. Seth Rogovoy corrects that deficiency by deftly weaving together his love of Dylanology with his love of Judaism." "Seth Rogovoy proves that he is not only a master of Dylan’s music and life journey, but most significantly, of the whole idea of prophecy. Rogovoy’s Dylan stays true to his core vision through an era that would have tested Isaiah. 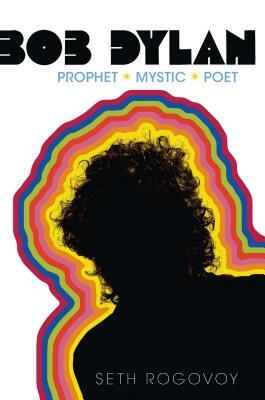 In the clarity of his own vision, Rogovoy’s Bob Dylan: Prophet, Mystic, Poet stands with Maimonides’ Guide for the Perplexed, and Greil Marcus’ The Shape of Things to Come. Few books make that distinguished cut. This one does. It is required reading for those who seek to understand not only Dylan, but the meaning of their own life. This is serious stuff. It’s also a pleasure to read. Each page is a ride with music all its own."